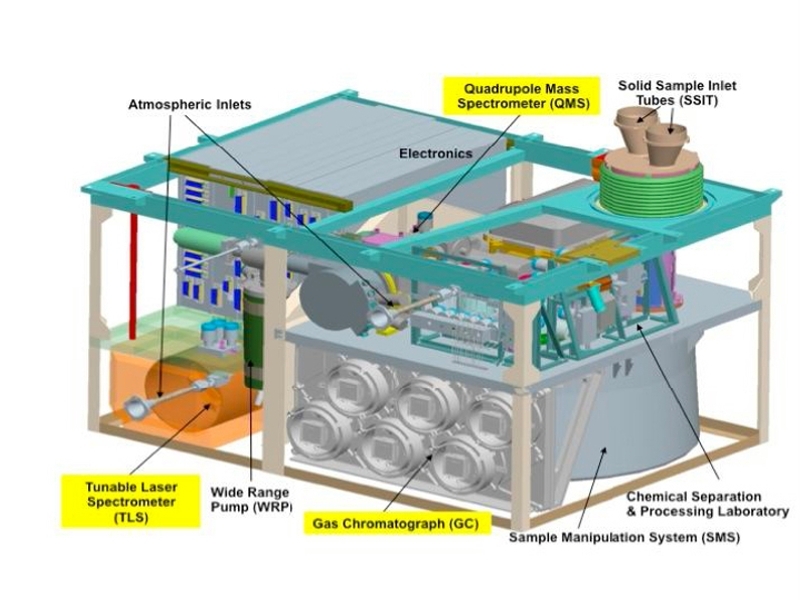 The SAM suite of instruments, which will study the organic composition of the Martian soil and atmosphere for the MSL mission, is all set to go. A French team is involved in the project. The SAM instrument suite (real and schematic views). Credits: NASA. The 6 gas-phase chromatographs in the SAM-GC instrument illustrate the high level of miniaturization and strict engineering constraints that scientists at the LATMOS atmospheres, environments and space observations laboratory and the LISA inter-university laboratory for the study of atmospheric systems had to work with. 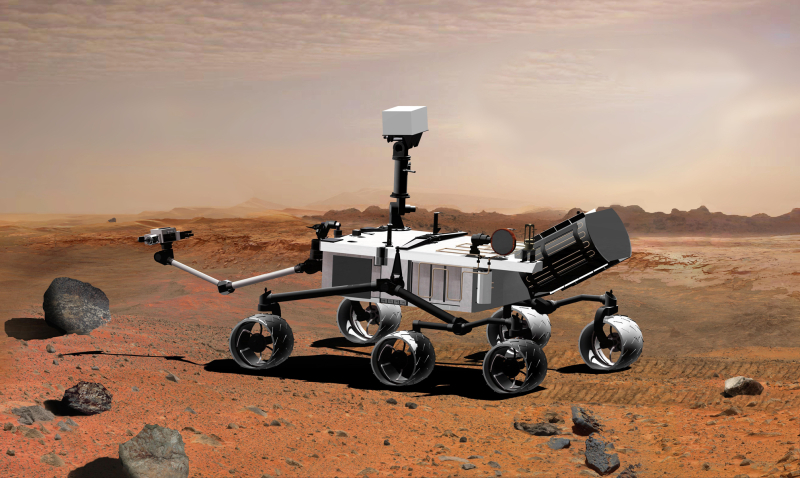 Overseen by CNES since 2004, French researchers have developed one of the 3 instruments in the SAM (Sample Analysis at Mars) suite that will depart for Mars later this year on the Curiosity rover for the MSL (Mars Science Laboratory) mission. SAM’s mission will be to identify and measure organic elements and compounds in soil and atmosphere samples collected in situ. 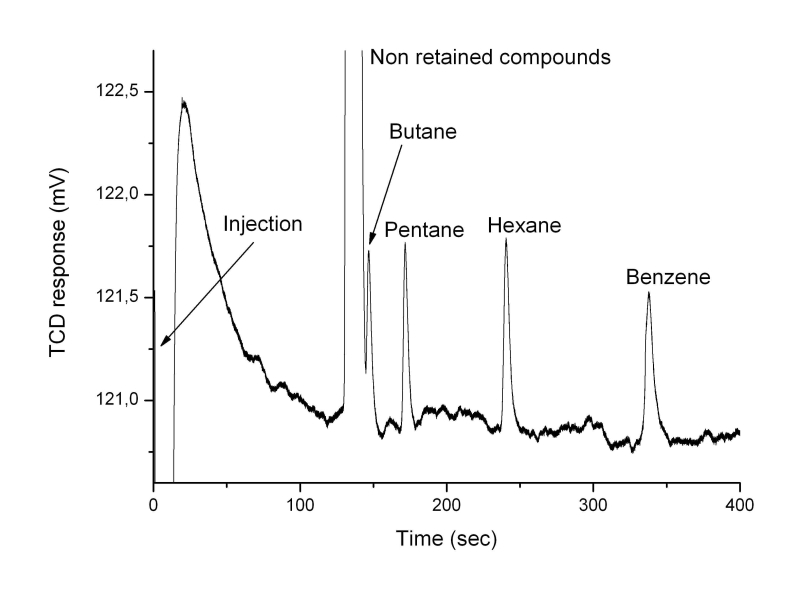 Chromatogram of the analysis of a mixture of organic and argon molecules. Credits: LISA/ Coll. By gradually heating samples to a temperature of 1,000°C or subjecting them to chemical reactions with a compound aboard the rover, SAM-GC will be capable of identifying the molecules they contain. Developing this instrument was no easy task for the project’s scientists. Due to the high degree of miniaturization, very hot and very cold parts that are normally kept well apart in commercial measuring instruments are in this case close together. The nano-catharometer, a molecule detector no bigger than a credit card chip, was developed with the help of a CNES Research & Technology action. 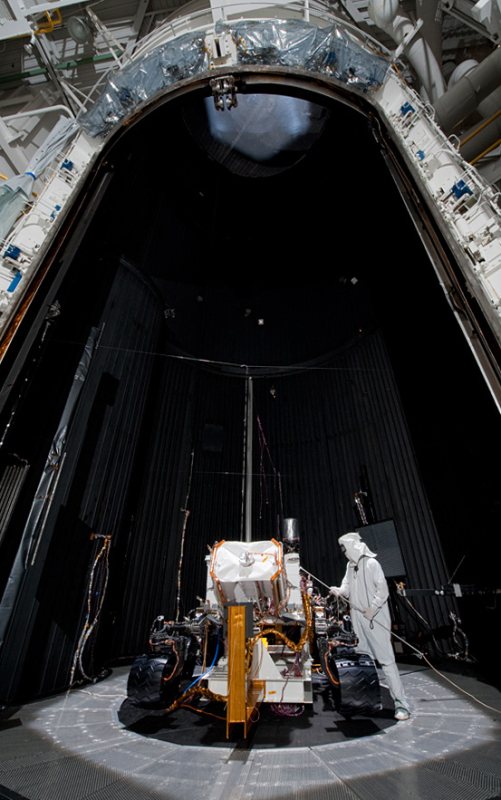 The SAM suite is integrated on the Curiosity rover in January 2011 at JPL, California. Credits: NASA. The two other instruments in the SAM suite are under U.S. responsibility, so assembly required operations to be regularly tracked. “The prototypes underwent extensive testing to make sure the instruments would work together after final integration,” recalls LISA’s Patrice Coll. 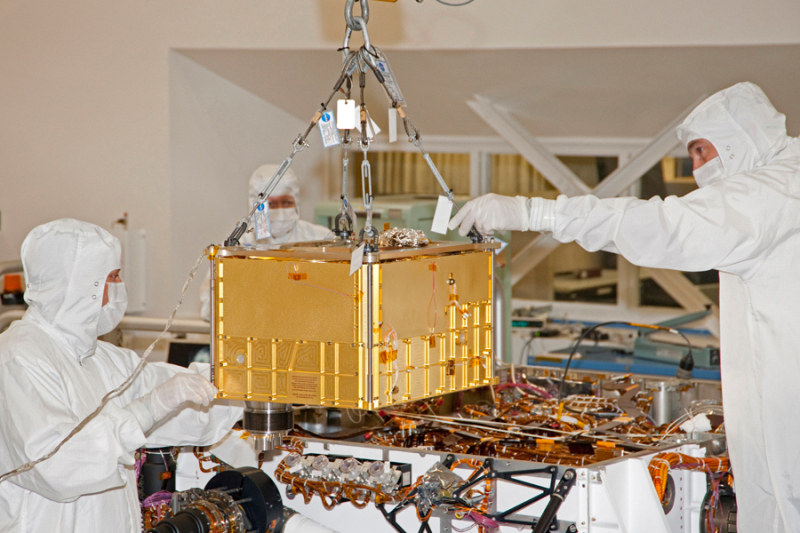 SAM was successfully integrated on the rover in January 2011. Since then, Curiosity has been undergoing an ultimate series of tests in a simulated Martian atmosphere at NASA’s Jet Propulsion Laboratory in California. Curiosity in the chamber simulating Martian atmospheric conditions at JPL. Credits: NASA. From end May to early July 2011, a full-scale exercise will be conducted with all of the science teams involved in the SAM project to validate data processing tools and exchange systems. The goal of the MSL mission is to look for traces of past life on Mars and to better understand the physical and chemical processes that shaped the planet. Curiosity rover. Credits : NASA.